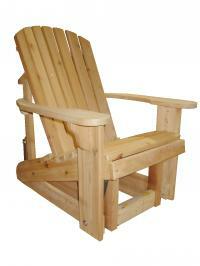 Click image to see more Our oversized Adirondack Chair for maximum comfort! The BIG BOY chair is almost 20% wider than our Adirondack Chair.��Shown here with the Big Boy Footrest, next to our conventional Adirondack Chair. 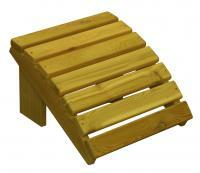 It is designed for those that desire more substantial seating space. The seat slats are 23 inches wide. Compare the photo of the BIG BOY chair with the conventional chair. We can custom engrave your chair for that personal touch. Order yours today! Use the Additional Instructions space provided during checkout. You will be contacted for further details. 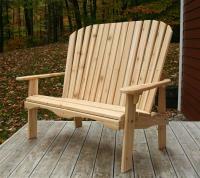 The perfect addition to your Big Boy Adirondack Chair. Relax with your feet up. Rolled and contoured for comfort. Introducing our newest invention. 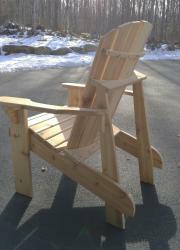 Our High Peaks chair. This is our easy in easy out chair. Same design just higher off the ground. 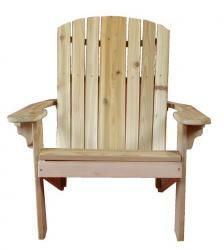 This is our HIGH PEAK BIG BOY CHAIR, 23 inches wide, 7 inches higher than our standard Big Boy chair. If you have had any hip, knee, shoulder replacement, this is also the chair for you. No more fighting to get out of the chair. The seat is a generous 23 inches wide.